The day after Thanksgiving is coming!! You know what that means right?? No not just shopping, but putting up our Christmas tree. We always get a fresh tree. It comes from my hubby living on a farm and going out on the back 40 each year and cutting one down. Whether we were in the country or city we have sought out a real tree. Of course we prefer to cut it down ourselves, but it looks like this year we may be getting it out of a lot. I put one of the little ones in charge of watering the tree, because it is hard for Mama to get all of the way under there. Well they are not typically that great at watering it, they tend to overflow it or forget about it all together. Bring in Tree Nanny!! 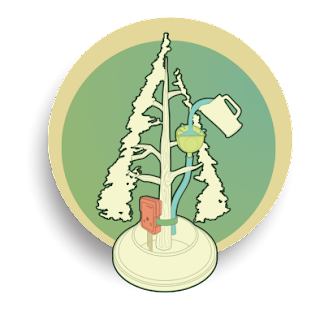 A watering system that is going to revolutionize your tree watering. If it gets too low it sings Jingle Bells. The first thing hubby says, is "Great we will get to hear Jingle Bells in the middle of the night". Nope! Tree Nanny has taken care of that as well with a light sensor. No light, no singing. It also makes a chime sound when you have filled the water reservoir enough, to prevent over watering. I will get a photo on here of our tree with the Tree Nanny once we have it set up. I wanted to let you know about this great product before you get your tree though! 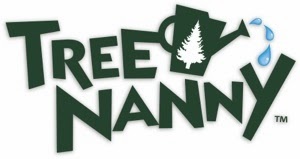 Be sure to check out LandMarc Productions, home of Tree Nanny. Remember a watered tree is a safer tree!